This is a trailer brake line kit put together to outfit a standard tandem axle boat or utility trailer with the appropriate brake lines to install Disc or Drum brakes. This kit simplifies the process of mounting hydraulic brake lines to your trailers frame. Whether you have a leaf spring axle, or torsion axle, this Brake Hose kit will outfit your trailers disc or drum brake system. No hard steel lines that will needed to be bent to the correct shape, or formed to fit your trailer frame. This kit uses Kodiak DOT Flexible Rubber trailer brake hoses for each length needed. Using these hoses ensures that your brake hoses will not crack or wear, which would cause pre-mature failure. These are not steel lines, which will rust. Each brake hose is UV rated to prevent sun damage. In addition, these hoses have two male Brass Inverted 3/16" fittings with stainless steel flares that use 3/8-24 thread, which will fit most trailer disc brake calipers, wheel cylinders, master cylinders, and solenoid valves. The swiveling ends of these brake hoses prevents twisting of the hoses during installation and provides more room for tools. 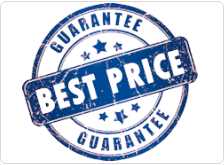 Kodiak Brass hose fitting ends also provide 40% more thread contact than other competitive hoses, yielding a more secure connection and leak proof system. Different trailer Manufacturers have used different ways to mount brakes hoses to trailers over the years. If you are starting from scratch, then this is certainly the simplest method to install brake hoses onto your trailer. We have made the routing of the hoses simple and effective. 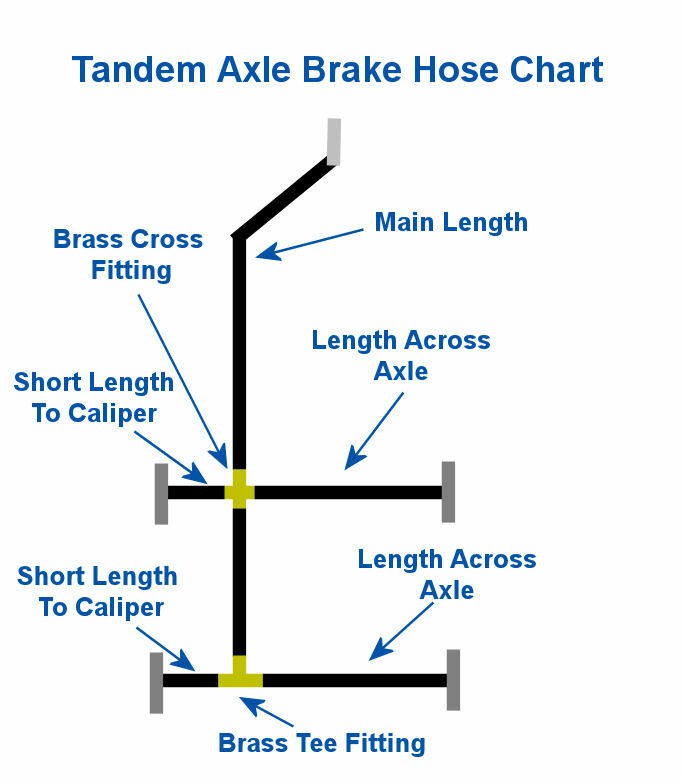 Refer to the Chart Picture above to see the routing system for your brake lines. If you are replacing individual components of your brake hose system, or need to put together custom lengths, check out our individual Kodiak Replacement Brake Hoses section. 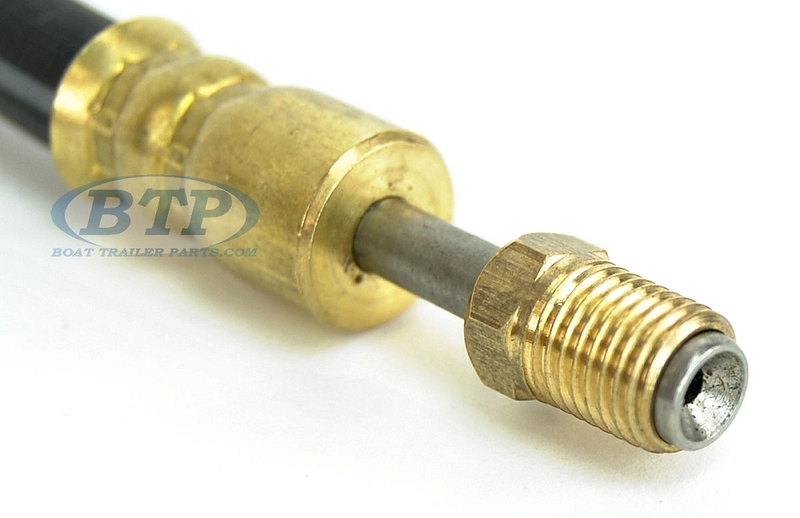 Included in this tandem trailer brake line kit is (1) 20 ft Main Length Brake Hose to run from your Surge Actuator to your trailers first axle, where it connects into (1) Brass Cross Fitting that has four Female Ends, which has also connected to it (1) 18" Brake Hose for your nearest Brake Caliper or Backing Plate, (1) 7 ft Brake Hose that will run across your trailers first axle to your opposing Brake Caliper or Backing Plate, (1) 3.5 ft Brake Hose as a jumper to your rear Axle, where it connects into (1) Brass T Fitting that has three Female Ends, which has also connected to it (1) 18" Brake Hose for your nearest Brake Caliper or Backing Plate, and (1) 7 ft Brake Hose that will run across your trailers rear axle to your opposing Brake Caliper or Backing Plate. Also included in this kit are (15) Screw in push mount Cable ties for mounting your brake hose along your trailers I Beam or Tubing Frame and (15) Standard Cable Ties for mounting your brake hoses to your trailers axle. For the two styles of cables ties, you can really use them however you desire in order to mount your hoses along your trailers frame or axle. But for instruction purposes, the Screw in style simply installs into a hole that would need to be pre drilled into the frame of your trailer. Once screwed in, you use the tie just like a standard zip tie, to secure your brake lines. As it is not ideal to drill into your trailers axle, you can use the standard Cable ties to wrap around your axle to secure the brake line. This style of Brake Line kit eliminates zinc plated and steel hardware which will certainly rust, especially in corrosive environments like saltwater. 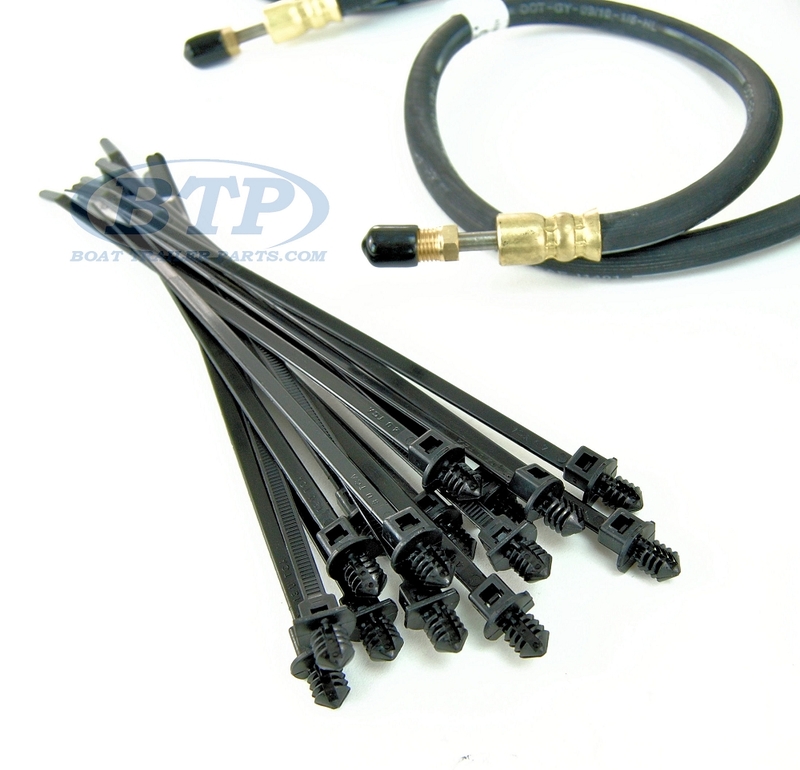 Regardless of your brand of boat trailer, this brake hose kit is great for your use. When installing your kit, if any length is slightly longer than needed, simply loop the brake hose in the down ward direction. Looping in this way is ideal and does not effect the performance of your brake system.